Up Close is a 2 hour personal lesson with Tommy. He explains in detail, his amazing harmonic technique. Shows you step-by-step how to play fingerstyles. There are rare insights into some of his more complicated arrangements and featured throughout the video and Up Close detailed and “slowed down” demonstrations and performances of many of Tommy’s songs. 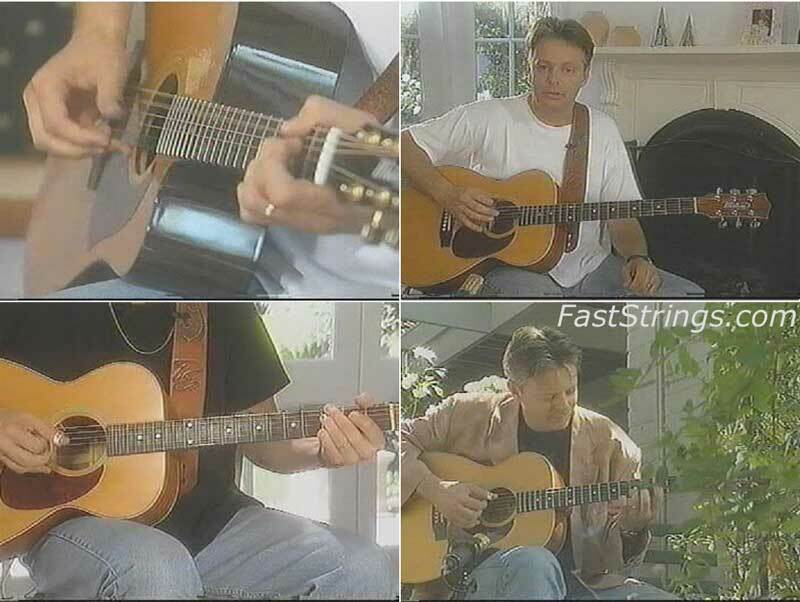 Tommy Emmanuel, if you hadn’t heard, is a spectacular acoustic guitarist. In this video he explains in split screens and fast and slow speeds his technique for playing several of his songs. This DVD succeeds on two levels: the playing is pure Emmanuel – melodic and rhythmic and flowing with pure joy. If you’re a guitarist who wants to see how he does it up close, this DVD is the ticket. The music is difficult and that the Emmanuel style is best suited to “ear” players rather than adhering to the written page. This is not the lesson for a beginner player, and it is also not for one who plays solely by tablature or from written music. But to get an up close look at some of the most amazing six-string wizardry ever recorded – it’s a must. excelente!! bajando a ver que tal… gracias x 1000!! Amazing videos for true guitarplayers!..